PERLEY, Sir GEORGE HALSEY, businessman, philanthropist, politician, and diplomat; b. 12 Sept. 1857 in Lebanon, N.H., son of William Goodhue Perley*, a lumberman, and Mabel Elvira Ticknor Stevens; m. first 4 June 1884 Annie Hespeler Bowlby (d. 1910) in Berlin (Kitchener), Ont., and they had a daughter; m. secondly 11 June 1913 in Ottawa Emily Colby White (d. 1948), daughter of Thomas White*; they had no children; d. there 4 Jan. 1938. George Perley grew up in a family that was in comfortable circumstances. 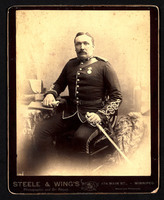 Although his father had moved his lumber operations from New England to the Ottawa valley in 1852, the family remained in Lebanon for several years. Lumbermen in Canada benefited from the Reciprocity Treaty of 1854, and William could afford a good education for his son in Ottawa’s best schools and later at St Paul’s School in Concord, N.H. George entered Harvard University in 1874 and graduated with a ba in 1878. He promptly joined the Ottawa lumber firm Perley and Pattee, owned by his father and Gordon Burleigh Pattee. Starting as a clerk, he became the company’s manager five years later. 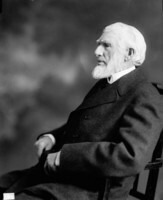 By 1890 Perley and Pattee had a third partner, Pattee’s son-in-law Charles Berkeley Powell. Following the death of William that year, George succeeded to his father’s position in the business. After Perley and Pattee was sold to lumber king John Rudolphus Booth* in 1894, George established his own firm, the G. H. Perley Company, which cut wood along the Rivière Rouge, Que., and had several mills, including the principal one at Calumet (Grenville-sur-la-Rouge). He expanded his activity eastward, acquiring over 1,000 square miles of timber limits along the Diable and Le Boulé rivers in the Laurentian region. In 1895 he moved his headquarters to Saint-Jovite (Mont-Tremblant), from where he would direct the firm’s work for almost 15 years. By 1903 he was also a shareholder and vice-president of the Hull Lumber Company, whose interests were concentrated on the upper Ottawa River. When the lumber industry began to decline and the demand for pulpwood increased, he merged his business in the Laurentian region with Riordon Paper Mills Limited in 1909 [see Charles Alfred Riordon] to form the Riordon Paper Company Limited, which had an authorized capital of $3,500,000. He would continue to be involved in various other lumber companies for many years. 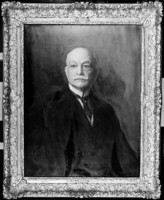 A prominent citizen, reputed by Le Droit (Ottawa) to have been a millionaire by age 53, Perley served as a director of the Bank of Ottawa from at least 1910, and for many years he was vice-president of the Canada Atlantic Railway, which his father had helped to create. He had held the presidency of the Rideau Club in 1896–97, the Royal Ottawa Golf Club in 1900–4, and the Royal Canadian Golf Association in 1905–6. Appointed chairman of the relief committee set up after a forest fire devastated the Ontario counties of Prescott and Russell in 1897, he investigated losses and distributed the proceeds of an appeal for donations. As a result of his effective work, he was named chairman of the Ottawa and Hull Fire Relief Fund, organized after a disastrous fire swept through both communities on 26 April 1900, leaving 15,000 homeless and causing damage to the Hull Lumber Company’s mills and woodyard estimated at $400,000. The fund’s administrators distributed about $1 million in aid. Perley’s personal reputation as a philanthropist had already been established in 1897 when he and his siblings donated their father’s house for what would become the Perley Home for Incurables. In 1912 he and his second wife would present Ottawa with a building for a tuberculosis hospital, and in 1920 they would give the May Court Club a building for its convalescent home. Philanthropy offered Perley a useful platform from which to launch a new career. 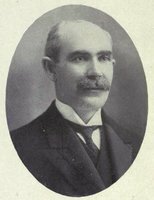 In the federal election of November 1900 he ran as a Conservative in Russell. 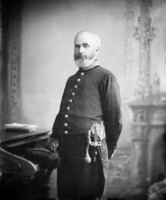 His father, who had represented Ottawa City from 1887 until his death in 1890, and his partners Pattee and Powell had all been strong Conservatives. Despite the good will generated by his relief work and his political connections, Perley lost. In December 1902 he was defeated in a by-election in the partly English-speaking and strongly Liberal riding of Argenteuil in Quebec. However, in the general election that took place in November 1904 he won Argenteuil by 176 votes. Earnest, shrewd, and efficient, Perley soon gained the confidence of his party’s leader, Robert Laird Borden, who both shared and respected Perley’s virtues and badly needed allies in a bitterly factional caucus. In the election of October 1908, Perley added to his majority. By 1910 he was chief whip of the Conservative caucus, and he accompanied Borden on his swing through western Canada during June and July 1911. In the ensuing general election Perley managed the party’s fortunes in the Ottawa valley. On 21 September Argenteuil voters more than doubled his winning margin. Demonstrating that Perley was one of the few party members who had his complete confidence, on 10 October the new prime minister appointed him to cabinet, naming him a minister without portfolio. Far from handing Perley a meaningless title, Borden wanted him to be free to undertake specific tasks. 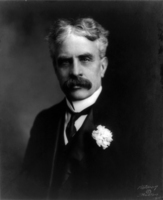 In 1912 and 1913 he was acting prime minister during Borden’s absences. When Canada’s high commissioner in Britain, Lord Strathcona [Smith*], died suddenly in January 1914, Perley was persuaded to serve as a temporary replacement. 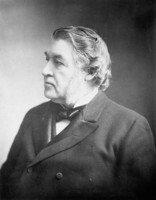 Sir Charles Tupper*, Strathcona’s predecessor, had insisted that the post should be held by a cabinet minister, able to deal authoritatively with the British government, and Perley, who had gone overseas in 1912 to assess the role, had agreed. By joining the Committee of Imperial Defence, a minister would be able to give Canada a voice in the forum that dealt with the empire’s defence problems. Perley, who left for London in June with his wife, had a mandate to reorganize Canada’s representation in Great Britain and give it an authority the mother country would be reluctant to acknowledge. Unforeseen circumstances would keep the Perleys in England, with the exception of brief visits home, until 1922. Two months after Perley’s arrival, the British empire was at war with Germany and its allies. Immediately Canada sent over 30,000 men. It would ultimately recruit over 600,000 to sustain a Canadian corps of four divisions and numerous other units. Content to exercise command only over troops committed to battle, the British left the administration of the Canadian Expeditionary Force, even in England, to the Canadians. This arrangement meant that the British had little to do with Borden’s minister of militia and defence, Samuel Hughes*, but Perley was soon dismayed by the chaos and confusion that resulted from the minister’s policies and conduct [see Hughes; Sir Samuel Benfield Steele*]. Created a kcmg on 1 Jan. 1915, Perley did his best to solve problems and to protect Canada’s reputation, which he believed Hughes was damaging. Meanwhile, the energetic and sociable Lady Perley mobilized Canadian women in England to provide comforts for the troops, to organize convalescent homes, and to act as nurses for sick and wounded Canadian soldiers. Hughes and Perley had often clashed in the Conservative caucus and in cabinet. In 1916, on Perley’s advice, Borden sent Hughes to England to bring back suggestions for an improved command system. When Hughes defied his instructions and created an administrative council dominated by his cronies, the prime minister reluctantly decided that his colleague had to go. Hughes’s creation had to be replaced, and the Ministry of the Overseas Military Forces, based in London, was announced on 30 October. Perley agreed to be its first minister and was sworn in the following day. When Hughes discovered his rival’s new authority, his indignation exploded in a vituperative letter to Borden. By 11 November, when the prime minister finally obtained Hughes’s resignation, Perley was almost too busy to care. Responsible for Canadian forces in Britain and at the front, the new ministry also handled negotiations with the British government. Since his duties were closely connected with those of the high commissioner, Perley asked to be allowed to remain in that post, whose status he and his wife clearly preferred. To avoid the by-election then required by a cabinet nomination, he received no pay for his ministerial position. The lack of remuneration hardly troubled the wealthy Perley. From the first, his policy was to staff his ministry with officers of proven competence drawn from the Canadian Corps in France. They were left to manage the routine military administration. 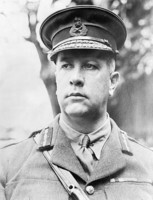 At the behest of Lady Perley and many other Canadians in England, he cancelled some of the nationalistic medical reforms recommended by Hughes’s ally, Colonel Herbert Alexander Bruce*, such as restricting Canadian casualties to Canadian medical facilities. Many of Bruce’s suggestions survived on their own merits. Although he visited France, Perley had no intention of meddling with the Canadian Corps. He established a personal liaison with Sir Douglas Haig and the senior officers at the general headquarters of the British Expeditionary Force. Perley’s dual posts commanded considerable prestige and social status in wartime London. Both were enhanced when he and Borden attended the meetings of the imperial war cabinet in the spring of 1917. Despite abuse orchestrated by Hughes and by Liberals who hoped to capitalize on his outbursts, parliament approved the new ministry on 18 August. Until then, its authority had rested on an order in council. Perley’s attempt to eliminate political favouritism and to establish a sound administration led to accusations that he was cold and lacking in humanity. The Union government was formed in October, and when a general election loomed in December, Borden asked Perley to continue as minister. To Borden’s dismay, Perley requested that, instead, he be confirmed as high commissioner. Contesting a seat that he had, perforce, neglected, and carrying the huge burden of military administration represented a hopeless challenge. Reluctantly, Borden acquiesced. Sir Albert Edward Kemp*, Hughes’s successor in militia and defence, crossed the Atlantic to take charge of the new ministry. Perley’s reward was a grudging appointment as high commissioner on 12 Oct. 1917. Although he was not a member of the Canadian delegation to the Paris Peace Conference, as high commissioner Perley signed three of the six major treaties and 11 of the 25 supplementary treaties, agreements, and declarations to which Canada was a party. He was one of two Canadian representatives at the meeting of the League of Nations in Geneva, Switzerland, in 1921. 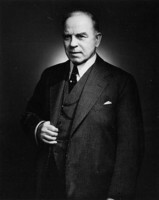 His term in London ended on 28 Feb. 1922, shortly after William Lyon Mackenzie King* led the Liberals back to power. At 65, having had a long and wearying career of public service, Perley contemplated retirement, but decided against it. As he had anticipated, Argenteuil had fallen to the Liberals in 1917. He set out to win back the riding, and in the election of October 1925 he succeeded by 200 votes. 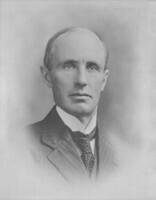 Amidst the confusion of the King-Byng affair [see Julian Hedworth George Byng; King], he acted as Prime Minister Arthur Meighen*’s unpaid secretary of state and minister of public works from 29 June to 12 July 1926. After parliament was dissolved Meighen reconstructed his cabinet on 13 July to face a general election, and Perley was officially appointed secretary of state. He left office on 24 September, 10 days after the Conservatives’ defeat. He had survived Meighen’s government and held Argenteuil by a margin of 240 votes. He won again on 28 July 1930 by 769 votes. 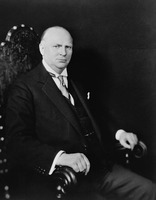 Like Borden, Prime Minister Richard Bedford Bennett* named Perley a minister without portfolio and he served as acting prime minister during Bennett’s absences. In 1932 Perley was Canada’s delegate to the World Conference on Disarmament in Geneva. The following year, after the awarding of British honours was briefly restored, Perley was raised to a knight grand cross (gcmg). Two years later, his loyal Argenteuil constituents gave him a majority of 177 votes in the general election of October 1935. Perley walked to his office regularly, worked long hours at his desk and in the House of Commons, and faithfully attended the Church of England. He was apparently in sound health, his dark hair and beard only spotted with silver, when he died suddenly at his home on the afternoon of 4 Jan. 1938. The evening newspapers celebrated a veteran of business, politics, and diplomacy. 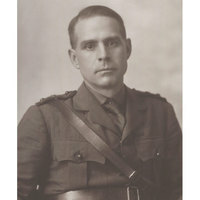 During his years of service, particularly as minister of the overseas military forces, he had helped, perhaps inadvertently, to develop Canada’s autonomy. Despite the ravages of the Great Depression, he left an estate worth over $2 million, evidence that his business acumen had continued throughout his long career of public duty. AO, RG 80-5-0-130, no.11676; RG 80-5-0-615, no.2795. Church of Jesus Christ of Latter-day Saints, Geneal. Soc., International geneal. index. LAC, R3895-0-3. Financial Post (Toronto), 14 April 1938. Globe and Mail, 5 Jan. 1938. Montreal Daily Star, 5 Jan. 1938. Ottawa Citizen, 4 Jan. 1938. R. C. Brown, Robert Laird Borden: a biography (2v., Toronto, 1975–80). Canada Lumberman and Woodworker (Toronto), 30 (1910), no.2: 36; 32 (1912), no.22: 30–32. Canadian annual rev., 1914–36. Canadian who’s who, 1936/37. F. A. Carman, “The right hand of the premier: a sketch of the Honourable George Halsey Perley, minister without portfolio in the Borden cabinet,” Canadian Magazine, 42 (November 1913–April 1914): 535–39. CPG, 1900–38. Cyclopædia of Canadian biog. (Rose and Charlesworth), vol.3. Directory, Ottawa, 1881–1900. G. P. deT. Glazebrook, Canada at the Paris Peace Conference (London and Toronto, 1942). Sandra Gwyn, The private capital: ambition and love in the age of Macdonald and Laurier (Toronto, 1984). Serge Laurin, Histoire des Laurentides (Québec, 1989). David Lee, Lumber kings and shantymen: logging, lumber and timber in the Ottawa valley (Toronto, 2006). Roy MacLaren, Commissions high: Canada in London, 1870–1971 (Montreal and Kingston, Ont., 2006). Desmond Morton, A peculiar kind of politics: Canada’s overseas ministry in the First World War (Toronto, 1982). Newspaper reference book. One thousand New Hampshire notables …, comp. H. H. Metcalf and F. M. Abbott (Concord, N.H., 1919), 24. Ottawa and Hull Fire Relief Fund, Report … 1900 (Ottawa, 1900). Benjamin Sulte et al., A history of Quebec, its resources and its people (2v., Montreal, 1908), 2: 755–56. Desmond Morton, “PERLEY, SIR GEORGE HALSEY,” in Dictionary of Canadian Biography, vol. 16, University of Toronto/Université Laval, 2003–, accessed April 26, 2019, http://www.biographi.ca/en/bio/perley_george_halsey_16E.html.